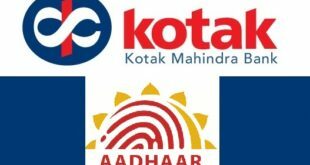 Home / Banking / How to Change your Address in Kotak Mahindra Bank Account ? 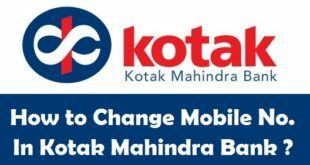 Change Address in Kotak Mahindra Bank Account : Kotak Mahindra Bank is one of the well known banks in India with a lot of options for everything. Now if you already have a bank account in Kotak Mahindra Bank and you want to change your Address, we can help you with it. In order to change your Address in Kotak Mahindra Bank Account, you need to visit your Kotak Mahindra Bank Home Branch and follow a few easy steps and you’re done ! If you have relocated to a new Address, you must change your Address in Kotak Mahindra Bank Account immediately. 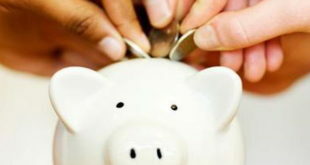 All your Bank Documents will be sent to your Address which is updated with Kotak Mahindra Bank. If you need to make a request for Kotak Mahindra Bank Cheque Book or ATM, you will get it on your registered address only. If you have your old or wrong address in your Bank Details, you will never ever get the requested documents. 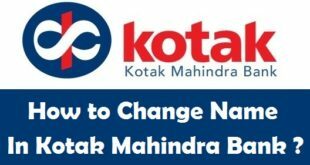 Today, we will tell you the Step by Step procedure to change your Address in Kotak Mahindra Bank Account. 1) Gather all the documents required to change your address in Kotak Mahindra Bank Account. 2) Write an application to the Branch Manager mentioning your old and new address, your Kotak Mahindra Bank Account Details & Signature. 3) Visit your Kotak Mahindra Bank Home Branch and ask for KYC Details Change Form, or Download Kotak Mahindra Bank KYC Details Change Form. 4) Submit your ID Proof, Address Proof, Address Change Application & Completely filled KYC Details Change Form to the Accounts Person of your Home Branch. Your new address will be updated in records of Kotak Mahindra Bank in 1-2 working days. This is it ! This is the complete procedure to update your address in Kotak Mahindra Bank Account. 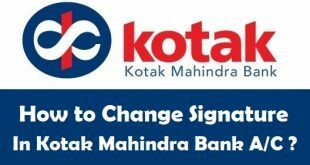 The Process to change address in Kotak Mahindra Bank Account is quite easy and will not take more than 10 minutes once you reach your Kotak Mahindra Bank Home Branch. I suggest everyone reading this Article to change your Address in Kotak Mahindra Bank Account as soon as you relocate to a new address. If you have relocated to another city, you must check the process to transfer Kotak Mahindra Bank Account given below. 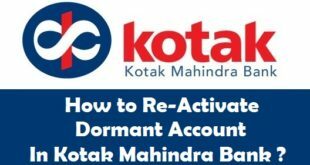 Previous How to Re-Activate Dormant Account in Kotak Mahindra Bank ? 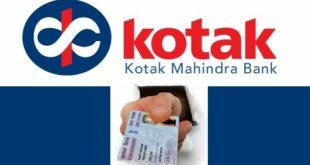 Next How to update PAN Card in Kotak Mahindra Bank Account ?